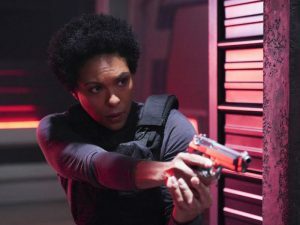 Colonel Haley sets her sights on learning Supergirl's secret identity, forcing Alex to run interference with her own agents. Meanwhile Supergirl searches for a shimmering alien after an attack at sea. Last edited by GateWorld; January 26th, 2019 at 09:08 PM. Not exactly happy with the mental reset, erasing knowledge of Supergirl's identity from the minds of all the people who knew it. They should have just gotten rid of Haley.